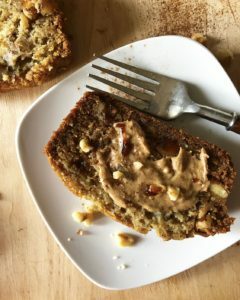 I have always been intimidated when it comes to gluten-free baking and that is because it is something completely new to me. It wasn’t until this year that I decided to cut gluten from my lifestyle. You can only imagine how excited I was when this recipe worked out! I was hoping it would but I truly wasn’t sure if it would. 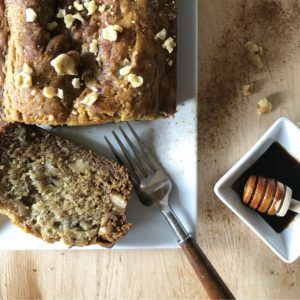 But here it is, a deliciously moist banana nut bread perfect for dessert, breakfast or just to treat yourself without feeling as much guilt! In a bowl, mix together the flour, salt, baking powder, and baking soda. In a small bowl, mash the 2 large bananas fairly well. In another bowl or kitchen aid mixer, add the coconut oil, the sweetener of your choice and mix for a few seconds. Then add the eggs to that along with the cinnamon, almond milk, vanilla flavoring and the mashed bananas. Now add the dry ingredients and chopped walnuts. Mix all together. In a loaf pan sprayed with nonstick spray, pour the batter and spread it evenly. Sprinkle some cinnamon on top. Bake in the preheated oven for 50-55 minutes. Use the toothpick method to make sure the cake is fully baked. Allow to cool before attempting to take out of loaf pan. Once cooled, cut into 8 slices. 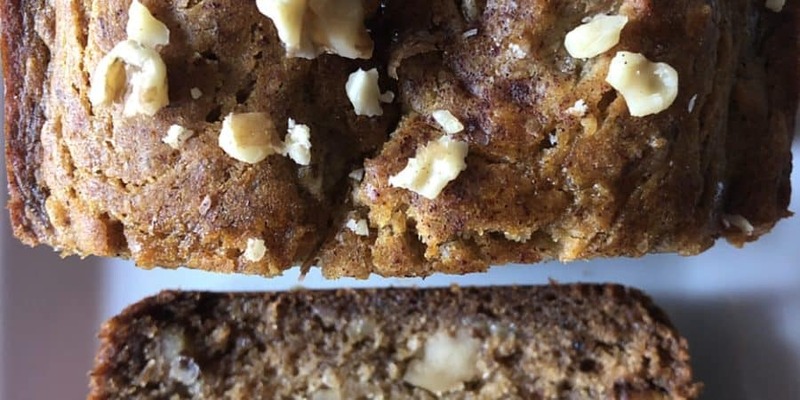 Enjoy as is or spread some melted almond butter on top! Note* to make vegan, use a flax egg to substitute the eggs.